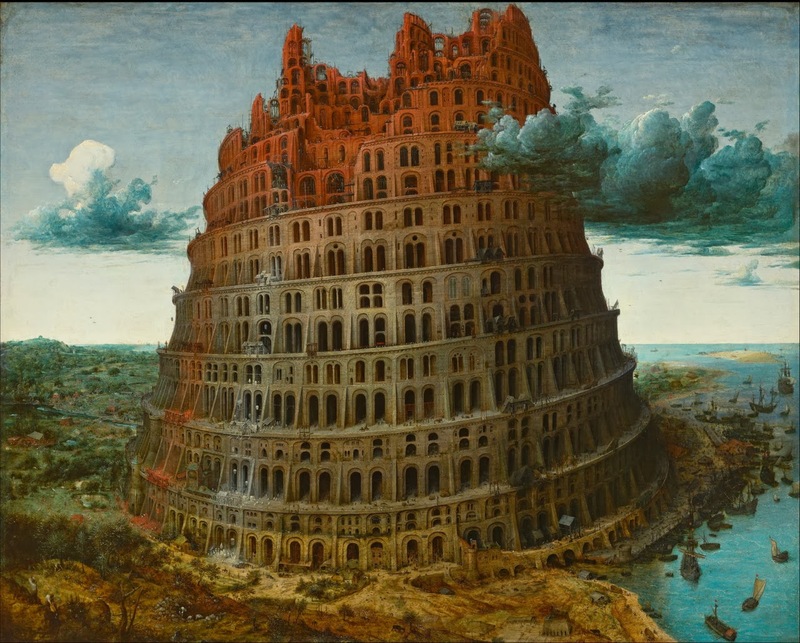 In the story "Tower of Babel", it is said that once upon a time, everyone on earth spoke only one language. As people migrated from the east, they settled in a land called Shinar where they began to build a tower towards the heaven. God, clearly disliking this act of man, recognized the root cause of their efficiency in the common language that they shared. So he created different languages, as a result of which they would never understand one another, and scattered them over the face of the earth. Whether this really happened or is it just a work of literature, is not in the interest of this writing but it sure does mock the chaos created by numerous languages that man has created and thus making one wonder if world would be a much better place to live in with a common mode of communication. The origin of this question finds itself in a debate that I had in my French class against the need to create native lexicon in French for every new word of English origin. On one side of the coin there is a need to conserve languages and facilitate their enrichment and on the other side, there is an opportunity to utilize a common terminology around the world. With a rate of globalization that refuses to slow down, world has almost begun to work like the Tower of Babel. Interdependency and immigration has made the need for a common language more than just a comfort. But not everyone would think alike. On the contrary, a section of people would argue that a common language would pose a threat to other old languages. With a language, disappears it’s literary works and its history. Moreover, a language is not only a means of communication but also a foundation of any culture and tradition. However, one could argue that cultures and traditions around the world have always been changing. History would not even exist without these changes. Over the years, we have seen several old languages like Latin and Sanskrit slowly become extinct. English has evolved continuously since its origin and by adopting the modern day English, man has almost abandoned the works of old English and adapted himself to a newer and better way of expressing himself. As far as the need for diversity goes, there would always be other avenues to create them; just like there exists diversity between an American, a British and a New Zealander. Besides, a melange also exists within a country that speaks a common language. Additionally, with technological developments and influences driven by globalization, we can clearly observe that all the cultures are converging into one. For example, the cuisine of one region or a country has traveled beyond its borders; most of the people around the world share a similar virtual image of themselves on Facebook, LinkedIn or other social networking sites through which, they prefer to communicate in common grounds. However, with a world full of egoistic countries, it would be interesting to see which language will dominate and which all would be willing to yield. Perhaps it was the prediction of this conflict that once led to a creation of a new language all together. In 1887, a language called Esperanto was developed in order to facilitate communication between people of different languages. This effort of constructing a new language from the scripts of various other languages was not very successful. Probably the reason was in starting something from scratch. But in today’s world, we can notice a different type of mix between the languages. “Visage”, “Encore” and “Sans” are some of the French words that are frequently used in English while “Parking”, “Weekend” and “Pub” are some of the English words used in French. Sanskrit or Hindi words like “Guru” and “Mantra” have also made their way into the English dictionary. Hence we are in the process of effectively blending the languages and constructing a new global language. Clearly in this case, the language that is most willing to accept foreign words and that is increasingly open to changes in its structure would be a winner. That makes us ask ourselves that on one side as we try to bring the world closer, must we, on the other end, by translating every new word in different languages, separate it? Life would be much easier if a USB, computer, Laptop, Nano technology or a tablet is called the same elsewhere in the planet. Even though there is a necessity to have a common language this does not appear to be a reality until several centuries to come. World would mostly be multi-linguistic until one of the predominant languages would slowly but certainly take over and with a world well connected, this forecast is highly likely to be true. This thought might be frightening at the moment, but change unwinds itself at its own pace and this would only be a reality perhaps more than a thousand years from now. We would no more be alive to react to it and the people living then would not relate to this debate at all; just like how we remain ignorant about Latin and Sanskrit. Thus history seems to be nothing but a circle. From few original languages to a variety of them; from a variety of them to some modern languages and from some modern languages, maybe to one ideal language in a distant future. Consequently, maybe one day, man might after all complete the Tower of Babel.